Glaire-et-Villette is a village and commune 10 miles (16 kilometres) south-east of Mezieres and some 2 miles (3 kilometres) north-west of Sedan. 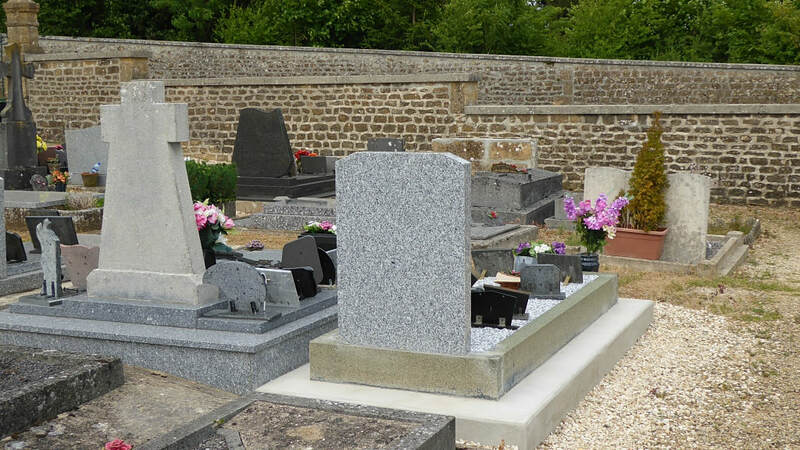 It is best reached by taxi from Sedan, which is on the Paris-Luxembourg railway line The communal cemetery is west of the village and of the D.29 road to Iges. 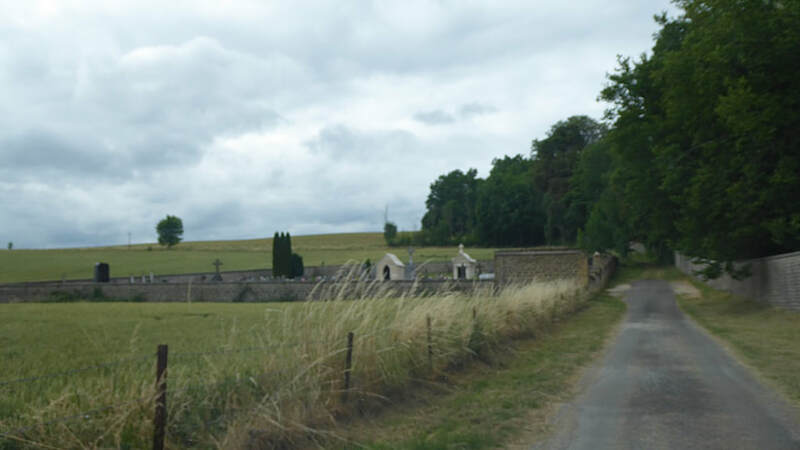 In the north-eastern portion is the collective grave of three airmen of the Royal Air Force. 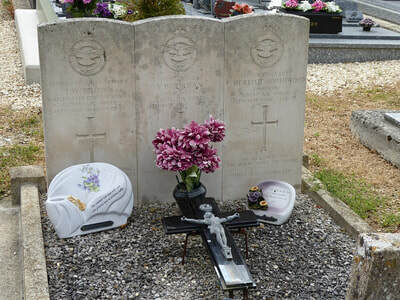 534385 Leading Aircraftman Thomas Wilfred Brown, Wireless Operator/Air Gunner in 114 Squadron, Royal Air Force, died 14th May 1940, aged 21. Son of Thomas and Daisy Ellen Brown, of Derby. 39991 Pilot Officer Charles Bromley Jordan, Pilot in 114 Squadron, Royal Air Force, died 14th May 1940, aged 27. 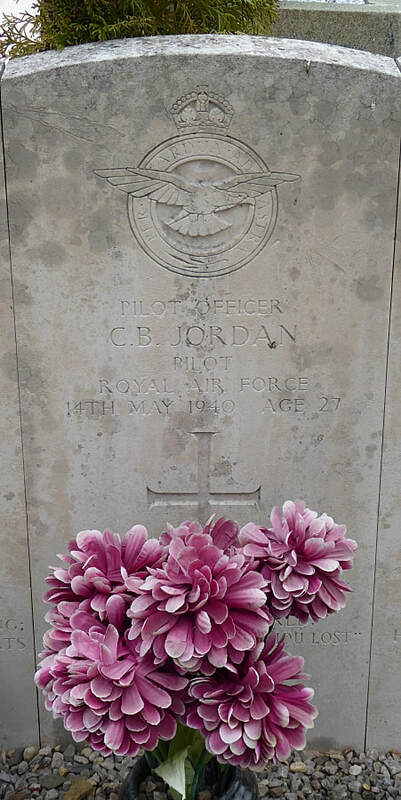 Son of Alfred Charles Jordan, C.B.E., M.D., and of Christine Jordan (nee Brumleu), of Finchley, Middlesex. 580531 Sergeant Paul McKelvie Southwood, Observer in 114 Squadron, Royal Air Force, died 14th May 1940, aged 23. Son of Charles P. Southwood and Emily McKelvie Southwood, of Alderley Edge, Cheshire.